Join us as we learn about the organizing that went into our recent pipeline victory in Kentucky. Huge thanks to Gaby our GAPWG intern, Cameron and Craig for their interviews, Allison for recording our music and the Peace Poets for their awesome lyrics to the movement song, The Voice of My Great Granddaughter. 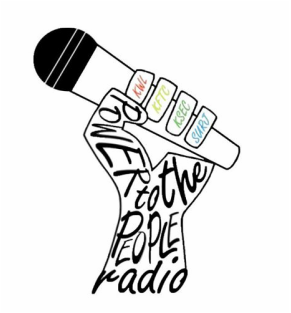 KSEC produced 6 episodes of Power To The People for WLXU-LPFM, Lexington Community Radio, in collaboration with the Central Kentucky Chapter of Kentuckians For The Commonwealth, the Kentucky Workers League, and the Central Kentucky Chapter of Showing Up for Racial Justice. The show highlights grassroots organizing and movements for social justice in Kentucky, specifically in the Lexington area. KSEC members Gentell Esters of Kentucky State University, Tyler Hill of the University of Kentucky, and KSEC JTWG Organizer Tracy Blevins discuss the 2017 Spring Summit, the Just Transition Working Group Solutions Tour, and the Rise Up KY Rally in this February episode. ​*The song is not included in the podcast for copyright reasons. In this episode of Power to the People, we listen to a live recording from KY Coffeetree Cafe of a show to benefit KSEC's summer training program for young activists, Catalyst (learn more here: bit.ly/2gZa2iO). A big thanks to KSEC members Jeri Katherine Howell for organizing the event and to KY Coffeetree Cafe for hosting and providing the recording. KSEC members Jeri Katherine Howell, Nat Colten, Grace Ann Rogers and her father, and Keenan Ray with his friend Mateo perform acoustic sets. Our last episode aired on Election Day, November 8. So this week we’re going to do a little post-election recap and reflect on how the outcomes could affect environmental issues in the Commonwealth. We start off with a discussion about how the new political climate in Kentucky could affect environmental policy. We’ll also talk about how KSEC is adjusting our work around advocating for increased renewable energy and energy efficiency. Tonality Star “Fantasy 01” from Fantasies on Needle Drop Co. Thank you to Mimi Pickering of Appalshop for providing audio from the Empower Kentucky Summit panel. And thank you to Robin Kunkel Code for the Power To The People logo. KSEC members discuss their visions for Kentucky and how KSEC is helping them work toward those visions. Guests include KSEC members Grace Rogers and Jon Johnson. *The song is not included in the podcast for copyright reasons. Members of the Kentucky Student Environmental Coalition visit legislators to talk about the need for more renewable energy and energy efficiency in Kentucky. In the show, youth converse with Rep. Mary Lou Marzian, Rep. Brian Linder, Rep. Tom McKee, Sen. Julian Carroll, and Sen. Reginald Thomas for KSEC’s third Energy Lobby Day. The Kentucky Student Environmental Coalition travels to Detroit, MI for Power Shift Midwest 2016. We hear stories from people living in communities impacted by environmental degradation, discuss the importance of incorporating Environmental Justice in the youth environmental movement, and listen to YACHT’s Utopia/Dystopia.